I still remember the first time I visited Paris, 12 years ago. I’d been dreaming about it for so long! Landing after a six-hour red eye flight, bleary but wide-eyed, felt almost mystical. E and I were staying in a tiny hotel with tiny rooms—I remember we couldn’t roll our suitcase between the foot of the bed and the wall—that was hidden in a side street right between the 2nd and 9th arrondissements. As soon as we had dropped our bags, we headed back out for breakfast. So many things were exactly as I imagined they would be: the breathtaking architecture, the seemingly natural elegance of Parisians rushing to work, the mouthwatering bakeries everywhere we looked. But so many things surprised us, too: the noise, the smells, and all that there was to see, everywhere we looked. Our senses were saturated; we were infatuated. We strove to make ourselves at home on the Rive Droite, and apparently we succeeded because we’ve returned to that same neighborhood every time we’ve traveled to Paris since, including when we lived there for six months in 2009. Feeling at home in Paris is one of the intangible things I hold dearest in my life. I consider myself lucky, I feel spoiled. Paris, to me, feels just as magical after seeing it a hundred times as it did the first time I walked its streets. Every visit to the city feels too short, and when I haven’t visited in a while, I ache because I miss it so much. It’s my soul city: I love it, for better or for worse. A friend of mine feels just as strongly as I do about Paris, and—lucky for her—she’s been living there for over ten years now. She even found love there. And she’s now written a book that is essentially, I think, her love letter for her adoptive city. 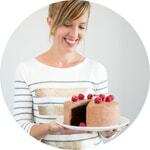 Lindsey Tramuta is an American writer and the creator of the blog Lost in Cheeseland. She’s been writing about Paris for prestigious publications including The New York Times and Condé Nast Traveler for years. The book she just published, The New Paris: The People, Places & Ideas Fueling a Movement, promises to be my guidebook of choice for years to come. But don’t get me wrong: The New Paris is not a guidebook, but rather a window into what makes Paris exciting and relevant, right now. 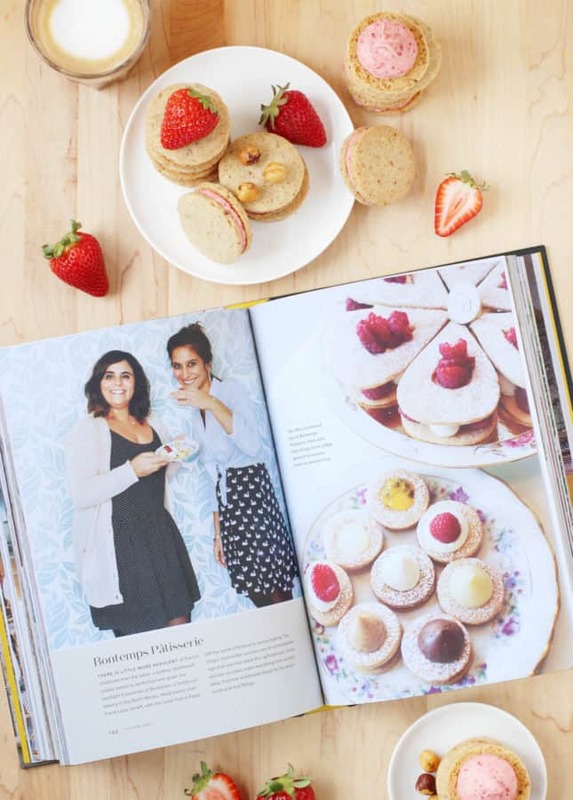 The New Paris is an impressively researched and elegantly written book that covers several creative fields, including food, fashion, and architecture. Through its pages, generously filled with the gorgeous pictures of photographer Charissa Fay, Lindsey highlights the work of locals who make the city feel fresh and vibrant. 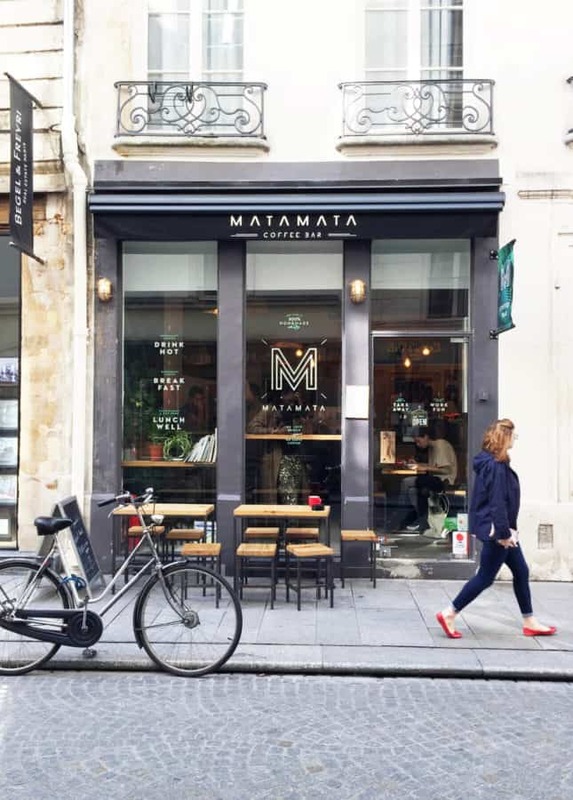 I’ve seen the transformation of Paris with my own eyes: shops and restaurants that felt stale and old-timey ten years ago have given way to small designer boutiques, innovative restaurants, third-wave coffee shops, and mindblowingly good pastry shops. Every time I return to my favorite Parisian neighborhood, I know I’ll discover new and exciting spots. 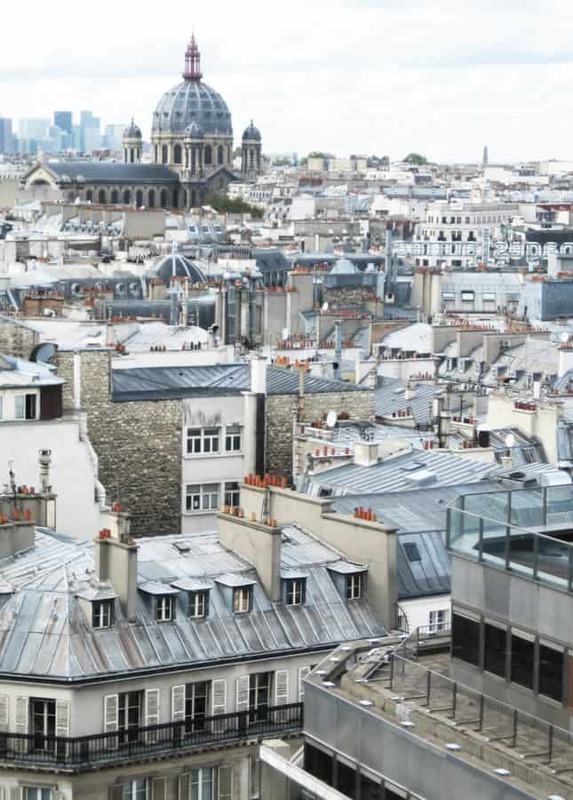 Lindsey, in The New Paris, offers insight into what brought this renaissance movement to life and builds an incredibly strong case for traveling to the city, if you’ve never been, or returning, if it’s been a while since your last visit. I know you’ll love this book just as much as I do—so much so that I’m offering you the opportunity to win it! 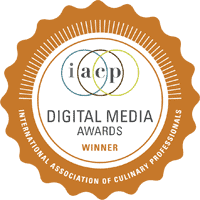 Lindsey, her publisher Abrams, and her Canadian communications agency, eleven05, are generously giving away FIVE COPIES of the book to lucky Canadian readers of Food Nouveau! 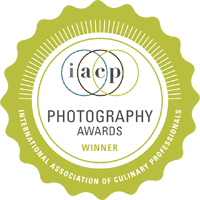 Scroll down to the bottom of this post to enter, and win your very own copy of The New Paris. The giveaway has ended! Congratulations to the lucky winners listed at the bottom of this post! Pssst… American and international readers: Make sure to follow Lindsey on Instagram. Her feed is gorgeous, and great for keeping up-to-date with what’s happening and delicious in Paris! Plus, since the release of her book, she’s been hosting all sorts of fun contests and relaying news about giveaway opportunities. 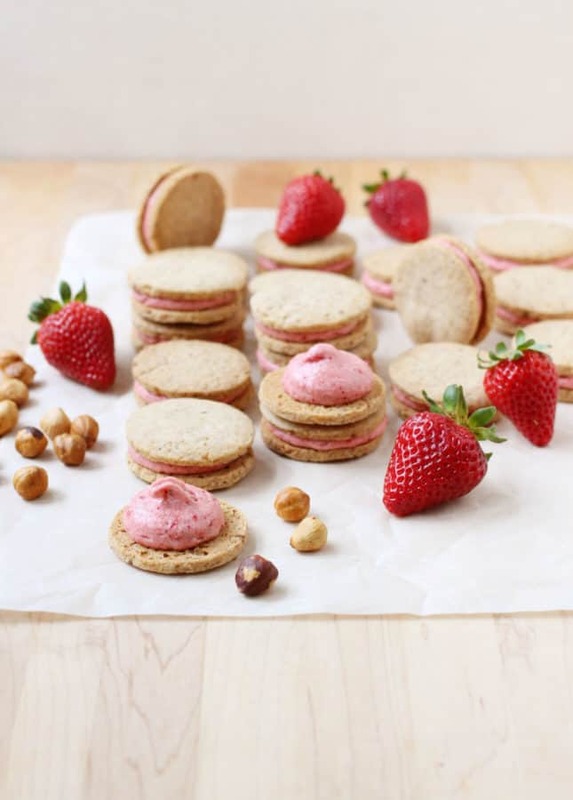 Today’s Hazelnut Shortbread Cookies with Roasted Strawberry Buttercream recipe was inspired by Bontemps Pâtisserie, a North Marais pastry shop featured on pages 144 and 145 of The New Paris. 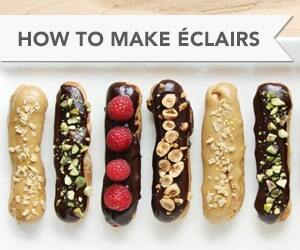 Bontemps Pâtisserie elevates shortbread-making to an art form, and since I’ve yet to visit, I instead bake cookies I hope to be a worthy homage. 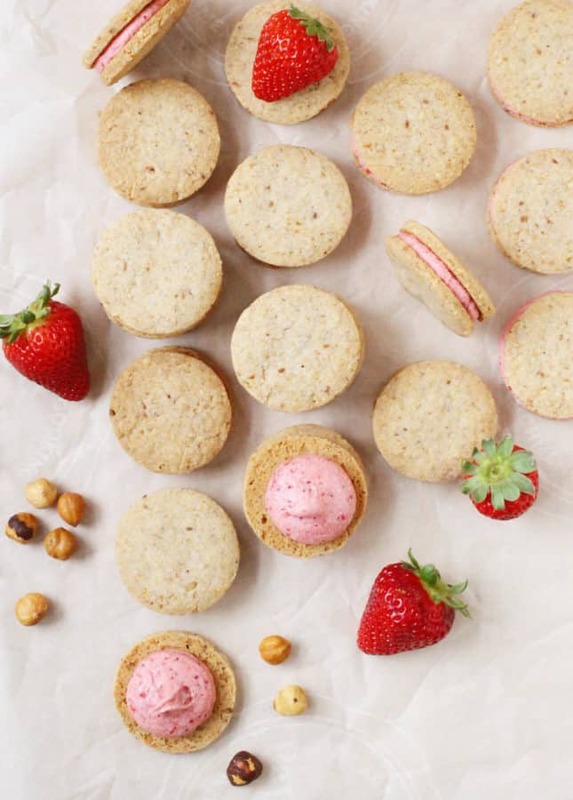 My hazelnut shortbread cookies are crisp and buttery and great on their own—but inspired by Bontemps, which sandwiches its shortbreads with fruit curds and fillings, I filled mine with a dreamy roasted strawberry buttercream. 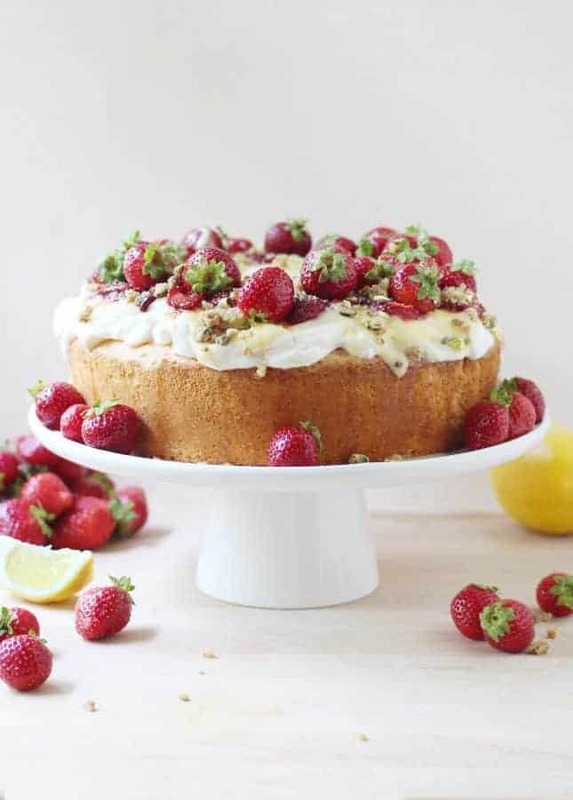 That buttercream is liquid gold: in fact, it may be the very best thing I’ve ever made with fresh strawberries. 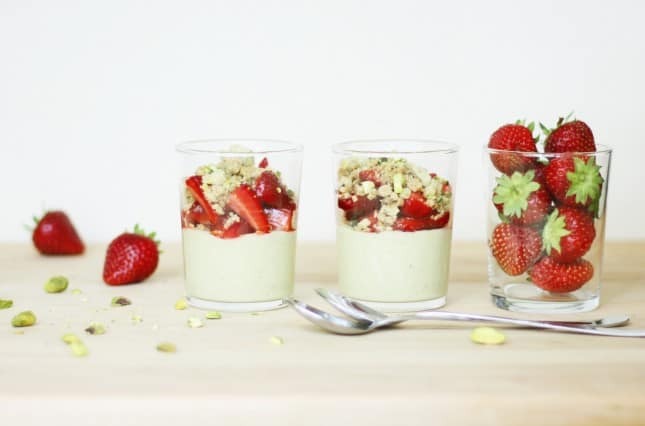 It’s so good I plan on freezing batches of it while strawberries are in season. I imagine this buttercream to be a delicious way to enjoy the sweetest berries all year long, much like jams are. The colorful buttercream is fantastic in these cookies—hazelnuts and strawberries are so perfect for each other!—but it would also be fabulously memorable on a cake. 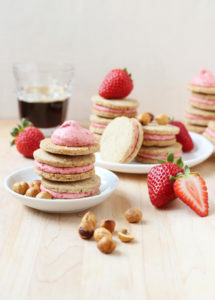 These buttery Hazelnut Shortbread Cookies are filled with a bright Roasted Strawberry Buttercream that wonderfully showcases summer's bounty. For the roasted strawberries: Preheat the oven to 350°F (175°C). Line a baking sheet with parchment paper. In a large bowl, toss the strawberries with the maple syrup. Transfer to the prepared baking sheet. Roast for 30 minutes. 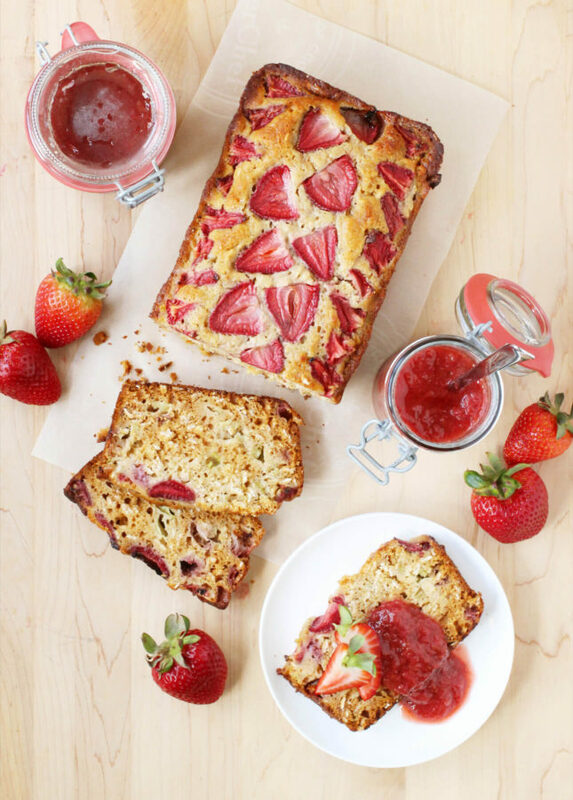 Set the baking sheet over a rack and let the strawberries cool completely. For the cookies: In a mixing bowl, combine the ground hazelnuts, flours, baking powder, and salt. In a second bowl, beat the butter, sugar, and vanilla together until the mixture is fluffy and pale, about 3 minutes. Add the egg yolk and beat well. Add the flour and hazelnut mixture and mix at low speed until the dough is just combined, about 1 minute. 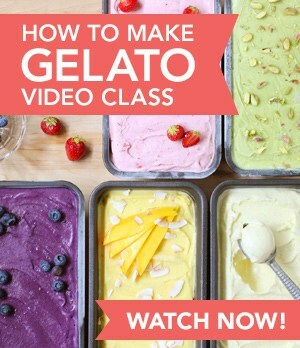 Gather the dough together into a ball, split in halves, then wrap each portion in plastic wrap. Refrigerate the dough for 30 minutes. Set a rack in the middle of the oven. Preheat to 350°F. Line two baking sheets with parchment paper. Remove the dough from the refrigerator and let it rest at room temperature for 15 minutes. Set a large piece of parchment paper onto a work surface, place the first ball of dough in the center, then cover with another piece of parchment paper. Roll the dough out until 1/4-inch thick (the dough may crack during the process; simply pat it back together using your fingers). Using a 2-inch round cookie cutter, cut out as many shapes as possible. Use an offset spatula or a knife to carefully transfer the cut-out cookies onto the prepared baking sheets, setting the cookies about 1 inch apart to allow for some light spreading. Gather the scraps, reroll, and cut out new shapes, repeating until there is no dough left. Repeat with the second ball of dough. Bake the first sheet of cookies for 15 minutes, until pale golden on the edges. Cool the cookies for a few minutes on the baking sheet, and then transfer to a wire rack to cool completely. Bake the remaining cookies. In the bowl of a stand mixer, or in a large mixing bowl if using a hand mixer, beat the butter and vanilla seeds together until creamy. Lower the speed and add the strawberry puree, beating until fully incorporated. Gradually add the sugar at low speed, then beat at medium-high speed for a couple of minutes, or until the frosting is light and fluffy. Assemble the cookies: Using an offset spatula, spread a thick layer of buttercream on the underside of a cookie. Alternatively, you can also transfer the buttercream to a pastry bag fitted with a round tip, and use it to pipe neat little mounds of buttercream onto cookies. Cover the frosted cookies with a second cookie, very gently pressing to spread the frosting all the way to the sides (shortbread cookies are crumbly, so make sure to proceed with care.) Repeat to assemble all cookies. Store in an airtight container in the refrigerator. The assembled cookies are best enjoyed within 3 days. The giveaway has ended! Congratulations to the lucky winners! Canadian readers, you’re in luck: I’ve got FIVE COPIES of The New Paris: The People, Places & Ideas Fueling a Movement to giveaway, thanks to Lindsey Tramuta, the author, her publisher Abrams, and her Canadian communications agency, eleven05. The giveaway ends Tuesday, June 20, 2017, at midnight EST. Disclosure notice: I was offered a copy of The New Paris by Abrams and the opportunity to host a giveaway on my blog by the Canadian communications agency, eleven05. As always, companies never dictate the content I create, or the opinions I express. I only use products I genuinely believe in, or feature books I truly love. For more information, please read my Disclosure Policy. I visited Paris on my first trip ever to France and I had expected it to be a very dull ‘postal card’ city. In the end, it turned out to be a very vibrant city and I enjoy how multicultural it actually is :) Each arrondissement has its own personality and has a lot to offer to the wanderer! I traveled Paris by myself ten years ago to meet up with a love from the past. I realized pretty quickly that he was just that – the past. The rest of the time I walked the streets alone, meandered, tasted new things, sat in parks, read, listened, allowed Paris to absorb me into her winding streets, sounds, beauty and history. It was a love that grew out of nowhere and really took my by surprise. For that reason, Paris holds a special place in my heart. In writing this I realize, I must go back and see how she has evolved over time. I dream of living in Paris, but I’ve only visited twice, for a handful of days, really. I’d love to experience it from the inside of the city, as a “local” (not that they would ever consider me local, even if I did live there, hah!). It’s such a romantic city. I love the markets, and how baguette, jam, and butter is breakfast. That is the perfect breakfast to me. These are my kind of people! I wonder how the locals feel about the changes of the city. I bet it’s hard to swallow for some, even though the rundown shops certainly needed a good dose of love to revive them. I visited Paris when I was 15 on a school trip; made it up the Eiffel Tower and to Notre Dame, but our sub-group of students roaming free got lost and almost ended up on a train to the suburbs of Paris. Saw the Musee d’Orsay but never got to go to the Louvre because it was under renovations at the time. Have always wanted to go back, but never made it yet. Meanwhile, my wife says my dinner meal specialty is Coq au Vin, and I dabble in other French dishes found within some of the many cookbooks I have acquired. 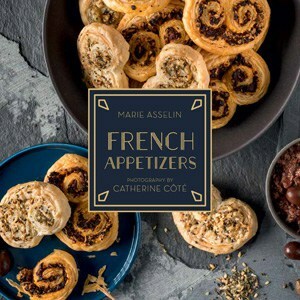 There’s always room in my collection for another book about some aspect of French culture, places and cuisine. I’ve never actually been to Paris, but as a child I was obsessed! I used to get guidebooks out from my local library and plan a fake vacation, haha. That’s why this book seems amazing to me! Since the moment I set foot in Paris for the first time 10 years ago, I knew it would change my life.I was in France to teach English for a year, which kicked off a sequence of events that would lead to me meeting my now husband. I just got back from a holiday (and my wedding!) in France on Sunday and I’m already planning my next trip! I have not been to Paris, but it is definitely on my bucket list! I want to visit Luduree Macarons as I am a macaron nut! I haven’t been to Paris but my 10 year old niece fell in love with Paris without being there. Last year they took a family trip there – I’d love to do the same and experience the culture and the food! Although I have never been to Paris I can only imagine how breathtaking the city of love must be. 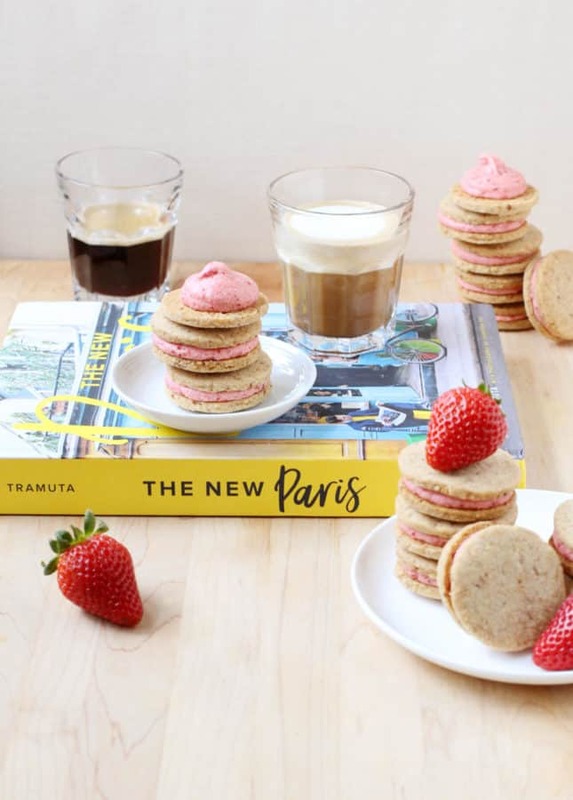 First stop would definitely be strolling down the streets of Paris while discovery new cafés and sampling their amazing macarons! I first visited Paris at 16, and with a few visits in between, returned to celebrate my 50th birthday – the best week of my life! I had my first visit to Paris only last year. It was MAGICAL. The food, the sights, the people! Honestly it was better and more romantic than I expected it would be. I loved the aimless walking around for hours, stopping at little corner patesseries for tartines and eclairs. I loved the piano playing in the middle of the street, Mass at Notre Dame and the endless glasses of wine. I need to return! Paris has a special place in my heart because I have ancestors in Paris. The first time I visited Paris, I felt that I had found my kindred country. The people seemed so much like me! 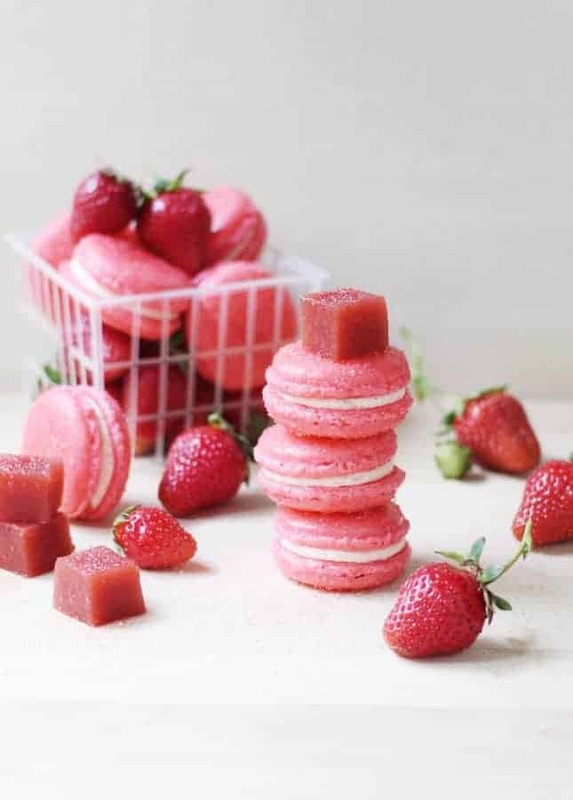 I love this post – and I adore Roasted strawberries. Thank you for the opportunity. Being from Rome, I’ve always considered Paris a “cousin” city, even though the two cities are often in competition with each other (which one is more beautiful, whose food or wine is better,etc. ;-) ) I’ve been to Paris many times, also because one of my friends moved there for three years and I went to visit often and I love it! Would like to bring my ital-canadian husband, though :-) ! I have wanted to go to Paris for many years now; my daughter and I dream of going together. To me, it’s a city of magic and food. Until my dream comes true, I visit by reading books about the city. My husband and I went to Paris for our first anniversary. We stayed at a cute rental apartment near Notre Dame and took a boat tour, saw the Effiel Tower and ate macarons and pastries everyday. My husband is a big espresso fan, so he was in his element with all the little cafes. On our last day, we checked out the Shakesphere and Co bookstore and strolled around the Louvre. Someday, we’d love to go back! I adore Paris, and it’s been ages since I’ve been for a visit. I love the cafe culture so much – and bakeries! I lived in Paris I’ve 30 years ago and just returned for the first time, with my 18 yr old son and my husband. I can’t believe how much the city has changed – I left there without a lot of love but my two week visit this spring has left me wanting to go back asap! I’ve never had the opportunity to visit Paris, but I’d love to see firsthand, the exquisite bakeshops!! I have never visited Paris; but who doesn’t love the idea of Paris! Romance, the Eiffel Tower, the French cafes all hold a certain mystique, n’est pas?